As an academic discipline has come of age. Having evolved from 1950s-1960s to the present period, various schools of thought and approaches have emerged. 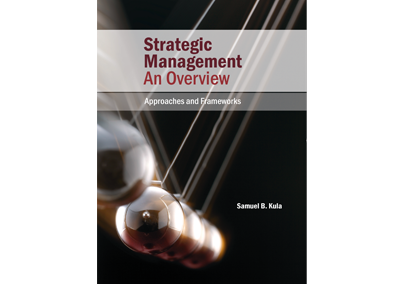 The author believes it is opportune to reflect on these approaches and key frameworks in order to present a meaningful picture to students of strategic management and other interested parties about this discipline from a myriad of concepts and tools. This book is an essential guide or blueprint for leaders and managers in different organisations and institutions; students and lecturers of strategic management or corporate strategy; consultants; entrepreneurs and any individuals who want to learn about strategy thereby craft their own successful personal, business and family visions and strategic objectives, as well as the implementation and review thereof.